I don’t normally post my instagram pics (@honeywerehome) on the blog, I prefer to keep them more intimate snapshots of day-to-day life, but Sunday morning’s breakfast I can’t stop thinking about. 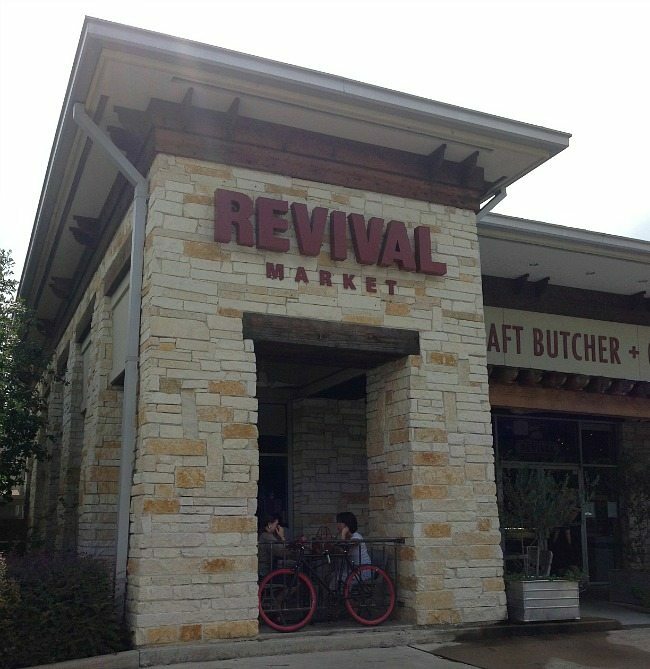 If you are in Houston, Revival Market is a local spot in an area of town known as the Heights. 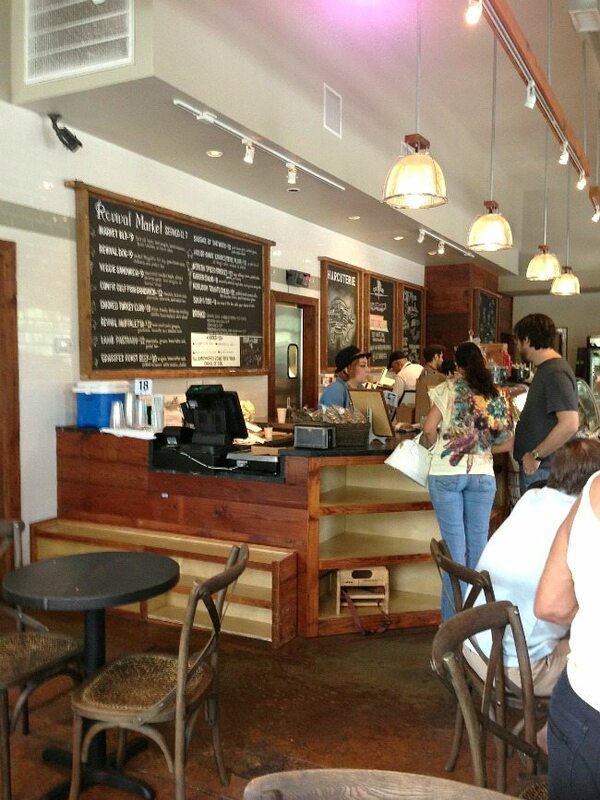 The Market is popular for it’s fresh selection of meats and food goods, but is also a deli and breakfast cafe. I tried it for breakfast for the first time this weekend, and was hooked after the first sip of coffee. 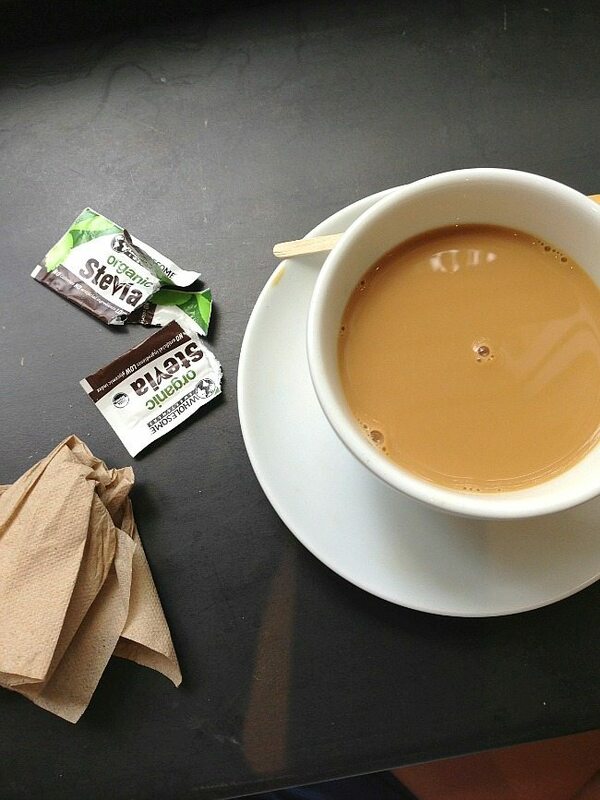 I love a good cup of coffee in the morning (so much so that I added a “Coffee and Tea” board on Pinterest:). 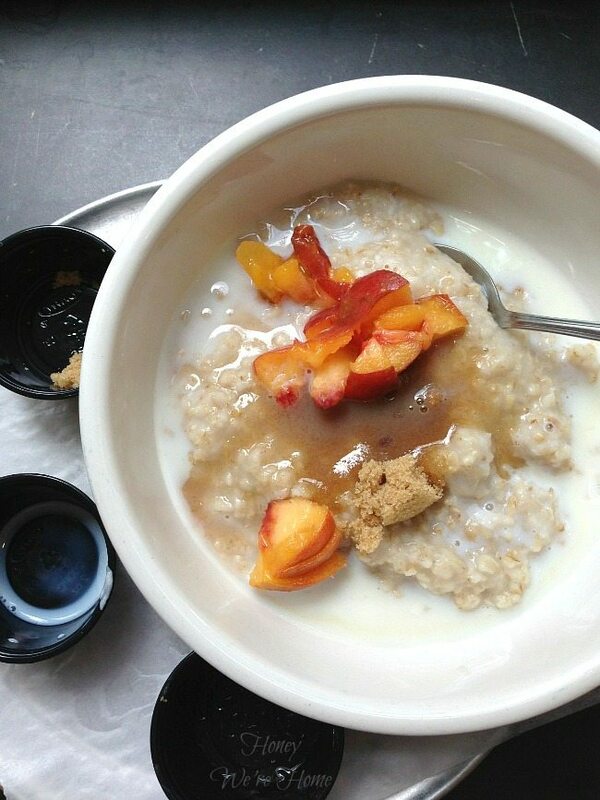 I ordered the steel cut oatmeal and it came with fresh apricots, warm milk, and brown sugar. Pure deliciousness. 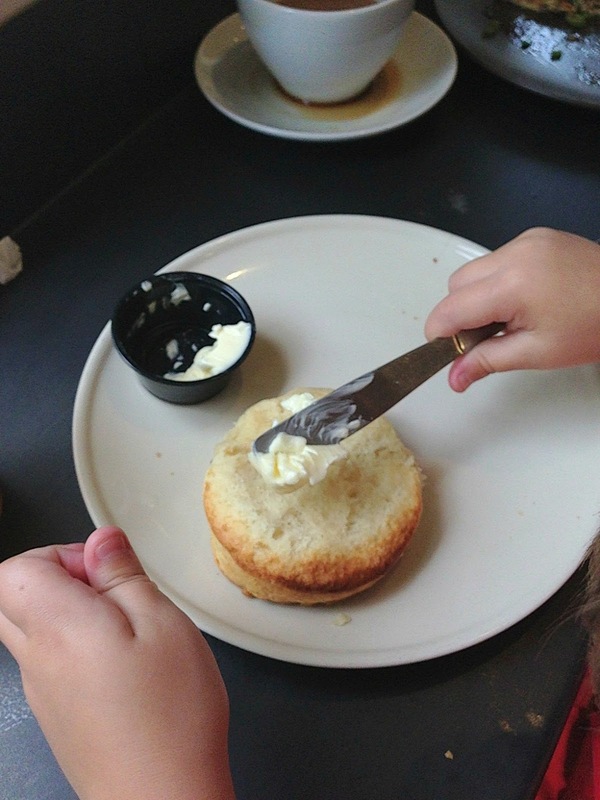 My son ordered “toast” and it was the best, flakiest biscuit I’ve ever tasted. I asked him if I could take another picture, and he said, “I gotta put butter on it first.” I will never tire of seeing his pudgy baby hands in action. If you’re ever in Houston, this is one place I’d recommend. Where do I need to eat in your town? Please share! 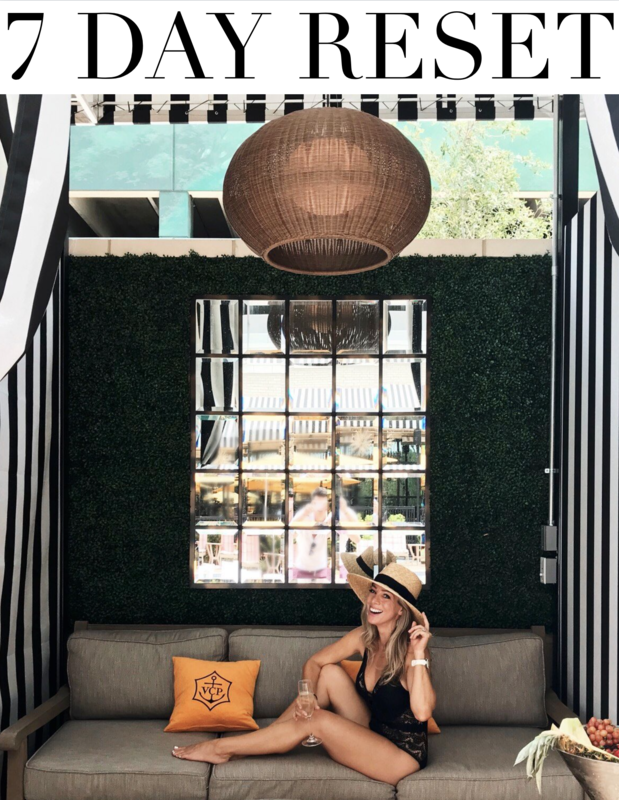 Hi Megan – I live north of Houston, on Lake Conroe, and LOVE driving to The Heights for a yummy meal at Revival Market. 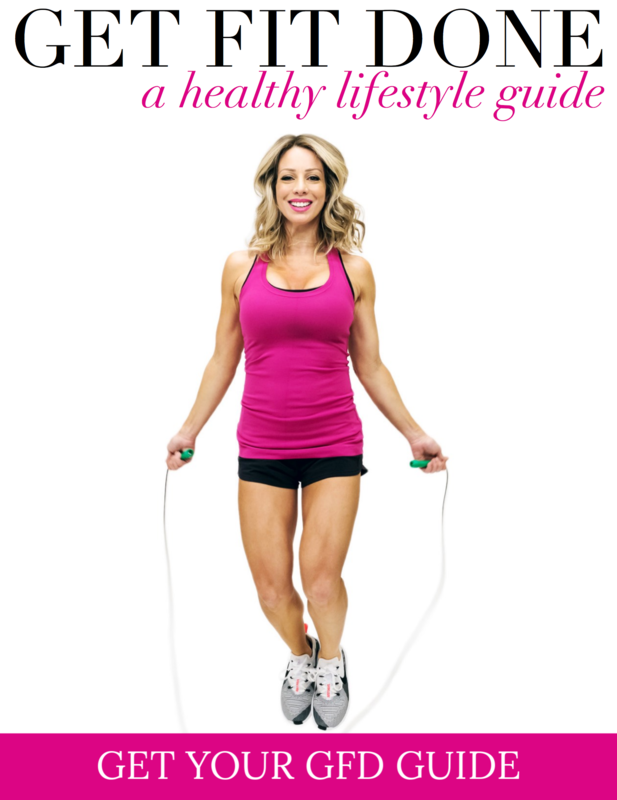 Love this blog and your 2nd blog, Honey We're Healthy. Keep up the good work. BTW, do you live in Houston? Hi Patty, I was just in Lake Conroe for Memorial Day! So fun:) Yes, I live in Houston. Thanks for the compliments on my blogs. I've been neglecting Honey We're Healthy, but hope to get back to it soon! 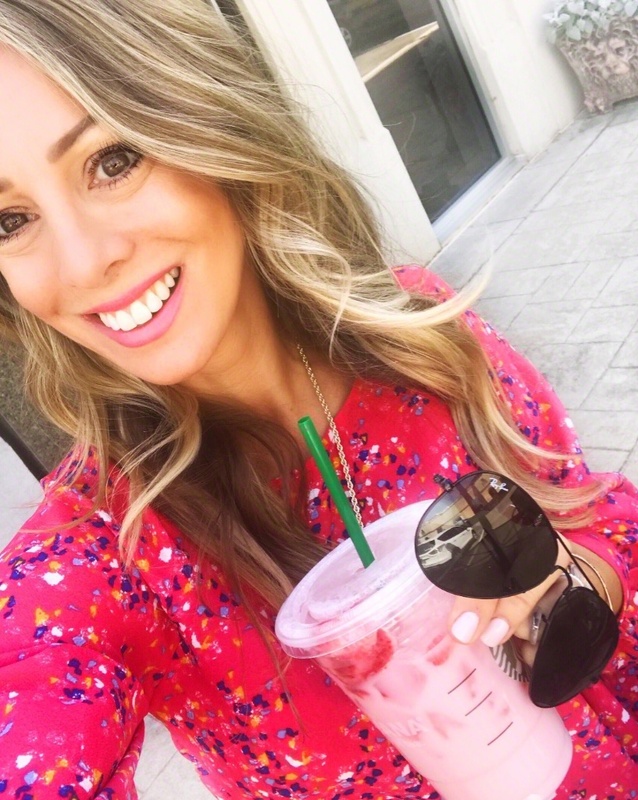 Love your blog from down here in Australia. 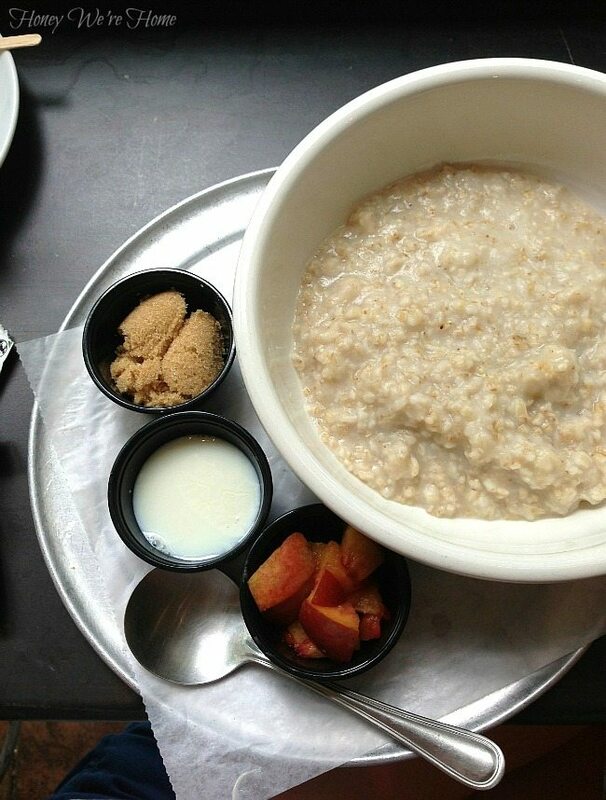 I LOVE oatmeal, it sounds lame. But I think it's so so yummy! And I'd give you a restaurant recommendation in Boston but if you ever get here I'm taking you out!! 🙂 Have a great day! I'd love that Susan! These are lucky iPhone pics, but I was sitting right by the window so I had good, natural light. I'm kinda obsessed with food photography! Here's to meeting up in Boston someday! Hi Erin! I live in Asheville, NC. Gotta agree your town has some great food options. I drive down frequently for the food, fun and atmosphere. Of course, Asheville isn't lacking in the food department either. Ha! Yum. Just had oatmeal this morning. Looks like a fun place. Gosh, wouldn't know where to start here in Atlanta…so many great places to eat! However, if you want a true southern dish…the Fickle Pickle in Roswell has an awesome Fried Green Tomato sandwich on their menu! I love The Heights! What a cute restaurant. I need to get down there…one day. Lol! I'm in The Woodlands and we have amazing restaurants opening up all the time on the Riverwalk, but I never seem to make it ten minutes down the road. Love Revival Market! 🙂 I haven't had their oatmeal yet but will try it the next time I go there! 🙂 Yummy! Hi! 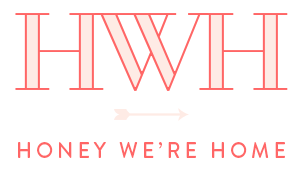 I've been reading your blog (and Honey We're Healthy) for quite a while. Both are awesome! I use to frequently visit Houston…very long story about a very long distance relationship. I live in Asheville, NC. Not exactly an easy commute to Houston. Ha! During one of my visits, I had breakfast at THE coolest place but could never remember the name. Could have been Revival Market. It looks very familiar. 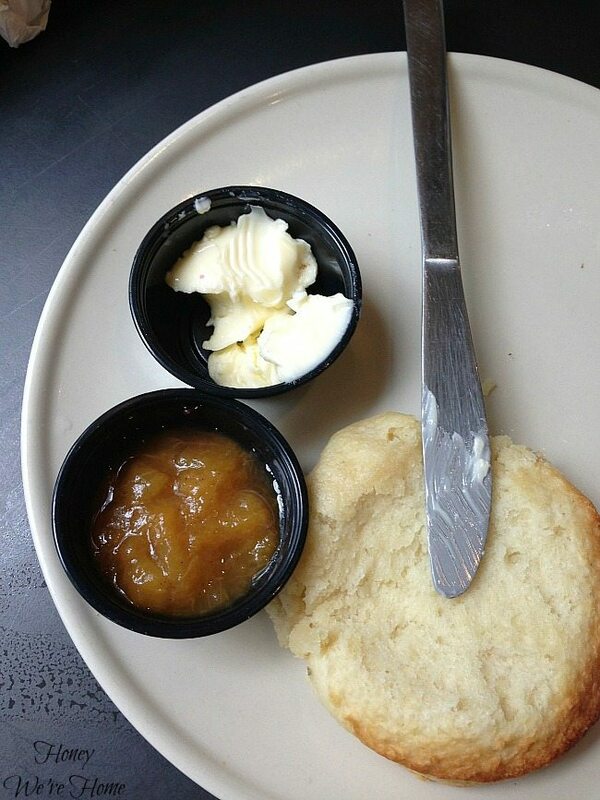 Should you ever find yourself in Asheville, healthy AND good food options are plentiful. Tupelo Honey, Early Girl and Laughing Seed are 3 favorites! I use stevia too (and have been using it probably for the past ten years). There's so much less bitter aftertaste now than there used to be! great pics, btw! LOVE it! Well when you come on your vacation to Sydney (Australia 😉 you have to eat at Cafe Sydney for the amazing view of the harbour bridge and opera house, then North Bondi Italian or Bondi Icebergs for the iconic and beautiful view over Bondi beach. You should also hit up Pilu at Freshwater for the most amazing degustation dinner or Fourth Village for super family friendly, homely Italian eatery. Lastly swing by our place for an authentic Aussie BBQ, prawns (shrimp), lobster, steak and crisp Aussie wines! Oh man that looks delicious! There's this cute little bakery near our house that we love to hit up for breakfast sometimes because it's so good! Hi! I need to check that place out! We live in the Woodlands, and theres this place called Russos New York Pizza thats awesome if you ever wanna check it out. I also love Dimmassis and in near the Galleria a place called Fadi's. I lean toward more middle eastern type food.